Bali has many mountains. In the middle of this island is a cluster of mountains that stretch from the western part of the island to the east. Clearly, the north side with the south is separated by a mountain. The mountains in the middle of the most famous island of Bali are Mount Agung and Batur. Because these mountains make Bali a very religious and mystical island, with a high spiritual nuance of the Balinese. Because the mountain is believed to be the abode of the gods, ancestral spirits, and various other magical elements. The island of Bali is also known as Pulau Seribu Pura / island of the gods, as it has thousands of temples scattered throughout the island. Pura Besakih is the mother of thousands of temples in Bali. This temple is located in the central part of the mountain slope. 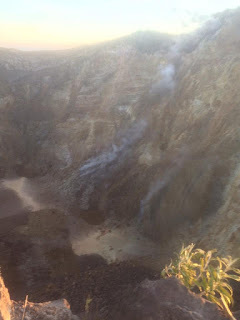 But there is one temple that is located higher than Pura Besakih, is Pura Pasaragung located almost at the top of the mountain, very close to the crater. Besakih Temple is located on the southwestern slopes of Mount Agung located in Besakih Village, Rendang District, Karangasem Regency. It is the largest temple in Indonesia because it is a complex of many temples within a region. Consisting of a single main temple namely Pura Penataran Agung Besakih, like a kingdom with various states, Pura Penataran Agung Besakih is the king of the temple companion that surrounds it, 1 Pura Basukian and 17 other temples. Referred to as the mother of the temple in Bali as a center of religious activities of Hindus from all temples in Bali. By using the main location at Penataran Agung Temple Besakih. As the main temple, this temple certainly has the most places and buildings for worship. The existence of Pura Besakih is not only a place of worship of God. But it has a connection with Mount Agung. 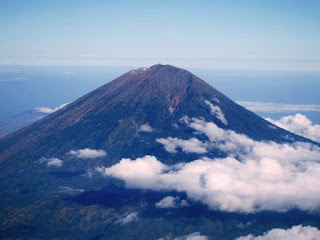 The highest mountain in Bali is believed to be the center of the natural government of the spirits of the ancestors, the nature of the gods who became God's messenger for the island of Bali. That is why this mountain is very guarded for its sanctity. Besakih Temple also contains philosophical meanings about cultural elements such as knowledge system, life equipment and technology, social organization, livelihood, language system, religion and ceremony and artistry. It is not yet clear why Pura Besakih was chosen as a center by the ancestors of the Balinese in ancient times, but almost certainly because this mountain has been a place of life since prehistoric times. It is estimated that the base of Pura Penataran Agung Besakih stone and some other temples that resemble megalithic to the pyramid, at least about 2000 years old. Besakih Temple has also been included in the list of UNESCO world heritage site proposal since 1995 but until now still not approved. Yet there is another historical evidence of the origin of Pura Besakih. That ancient time a pastor from Java took a thousand students to open a new recital in Bali, precisely in the Village Taro. Many mystical events occur when it begins to open the forest. Many of the pastor's followers die unnaturally. Then the priest did the meditations, and was told that Bali is a very haunted and consecrated place. Thus the minister made a ritual on the slopes of Mount Agung to request permission from the gods and ancestors to open the forest. After the ritual the process of clearing the forest becomes smooth and without significant constraints. Since then the location of the ritual becomes a place to build Pura Besakih to this day. To visit Pura Besakih in must wear polite clothes with subordinate cloth like a sarong as a foot cover. With entrance ticket for Rp. 15 thousand per person. 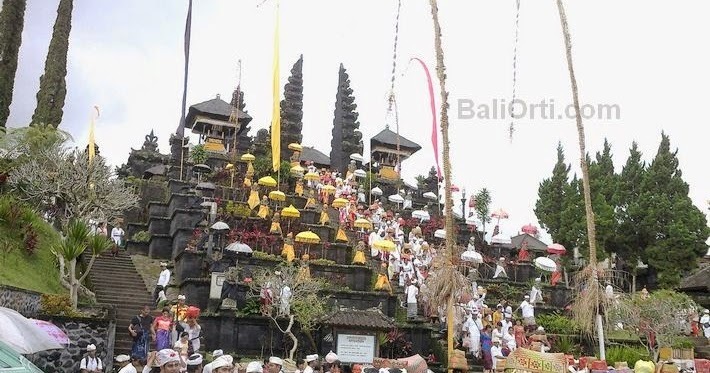 When coming in the period of 11 April to 3 May, visitors will see first hand the biggest religious ceremony in Bali held once a year named Batara Turun Kabeh Ceremony.